North Carolina is a state that offers so much for its residents. From great employment opportunities to rich history and culture and great prices, the state is one where anyone can live and thrive. More than three million new faces have made the move to North Carolina in the past 20-years. Making the same decision may very well be the best life decision you make. There’s no shortage of great small towns, medium-size areas, and big cities to choose from when moving to NC. 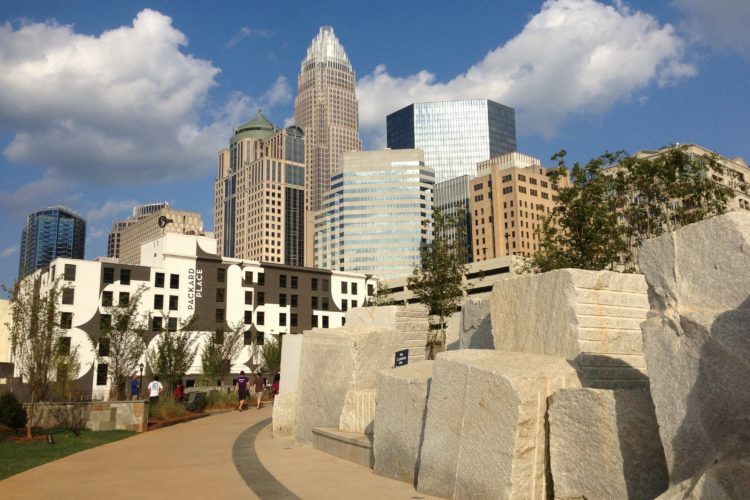 Charlotte is one of those great cities and many college students are found in the city. Cary and Morrisville are two small towns that have plenty to offer residents, from affordable housing to low crime rates. The NC coastline is worth talking about. Millions of people visit North Carolina to enjoy the miles of beautiful sand and water that make up the coastline. No matter where you choose to call home, you’ll be nearby the lovely beaches and delightful coastline. Aside from amazing beaches, this state has some of the most scenic areas you’ll ever set your eyes on. The Outer Banks, Emerald Isles, and plenty of mountains, trails, and places to bike are found throughout the state. You’re always nearby the fun in this state. North Carolina is one of the southern states that is known for friendliness and hospitality. As a resident of the state, it is anticipated that you’ll befriend neighbors and always get a warm greeting from everyone in town. Friendliness isn’t out of style when you call North Carolina home. North Carolina has some of the best BBQ that you’ll ever taste. There are tons of restaurants offering a phenomenal BBQ plate throughout the state. Plus, there’s an abundance of southern cooking family spots sure to become a favorite. If you are a beer enthusiast, craft beer is a way of life in the state. If you are a sports fan, you’ll thrive in this state. This is especially true for college sports fans, with teams like Duke in the area. There is no shortage of enthusiasm for sports in the state so get ready to show your team pride. Rent, home prices, energy costs, and food are just some of the things in the state that cost less in North Carolina than the national average. NC real estate – North Carolina homes for sale are affordable. Buy a home for an average median price tag of $186,000, considerably less than other places. When you reside in North Carolina, you enjoy a comfortable life. There are many reasons why North Carolina is a state that you will love to call home. The perks of living in the state that we’ve listed here are just the beginning of the many that come to those who live here. Shouldn’t you be one of the next to call North Carolina home?